Long Beach boasts modern rooms set in tropical gardens with private terraces. 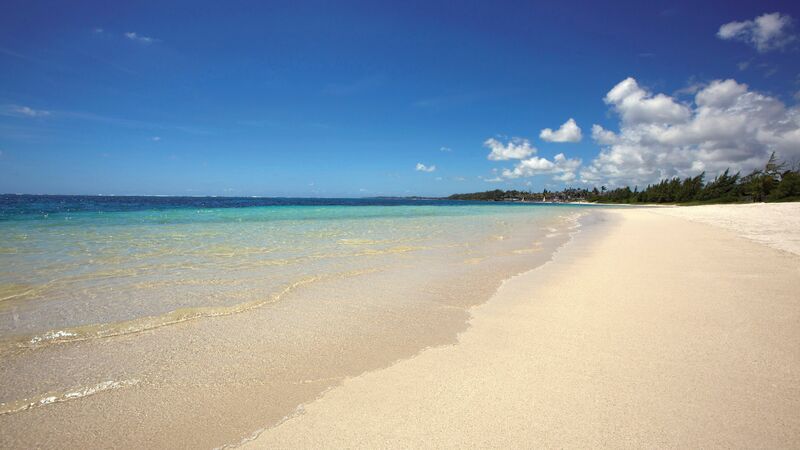 The resort is based near the traditional village of Belle Mare and guests can step directly onto the island’s largest beach, which borders a sheltered lagoon with a vibrant coral reef perfect for swimming and snorkelling. At the centre of the resort, there’s a bustling piazza with shops and five restaurants serving everything from Chinese to Italian and seafood dishes. Adults can relax in one of two bars, work out at the fitness centre or enjoy some pampering at the Sea Spa and beauty parlour. Guests also have access to a nearby 18-hole championship golf course. 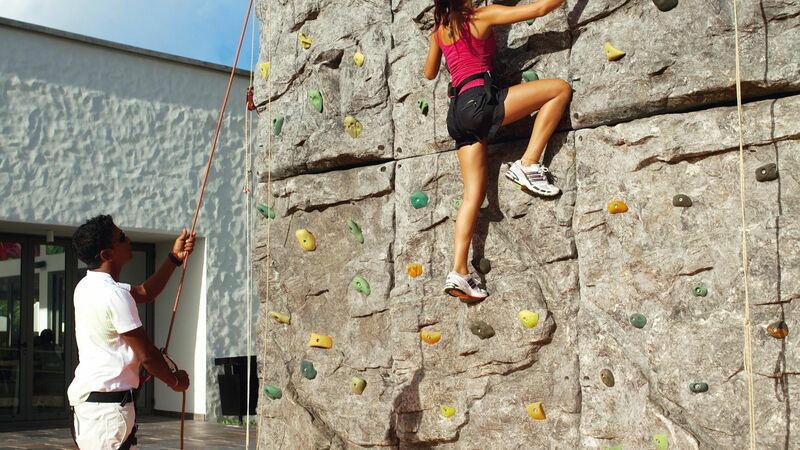 The resort itself has three pools, Kids’ and Teens’ Clubs and activities like wall climbing, football and tennis. This casual Asian inspired restaurant is located on Long Beach piazza. Choose from a menu of traditional dishes such as soups and seafood. Try the delicious Asian brunch on Sundays from 12:30 to 14:30. Half Board and All Inclusive guests can dine at Chopsticks. Men are required to wear trousers and a collared shirt for evening dining. 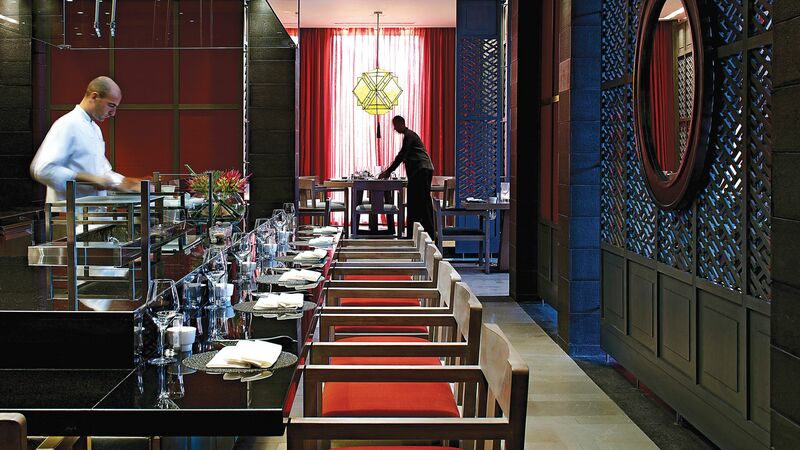 Hasu is a Japanese restaurant which offers elegant dining in a serene garden setting. The restaurant has an à la carte fine dining menu as well as a grill area, sushi station, yakitori bar and semi private dining spaces. Men must wear a shirt with collar and trousers. Le Marché is the resort’s main buffet restaurant, which features seven open kitchens offering a variety of international dishes. The restaurant serves a full English and continental breakfast and has an interactive buffet station at dinner. 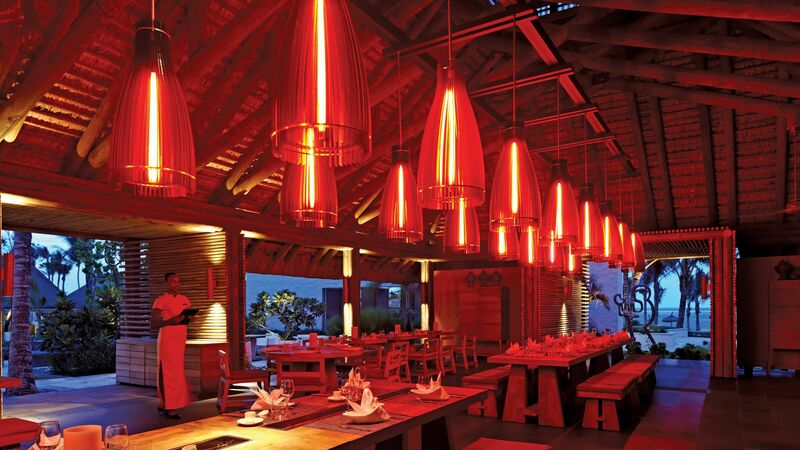 Dining at Le Marché is included for Half Board and All Inclusive guests. Men are required to wear trousers and a shirt with a collar for dinner. 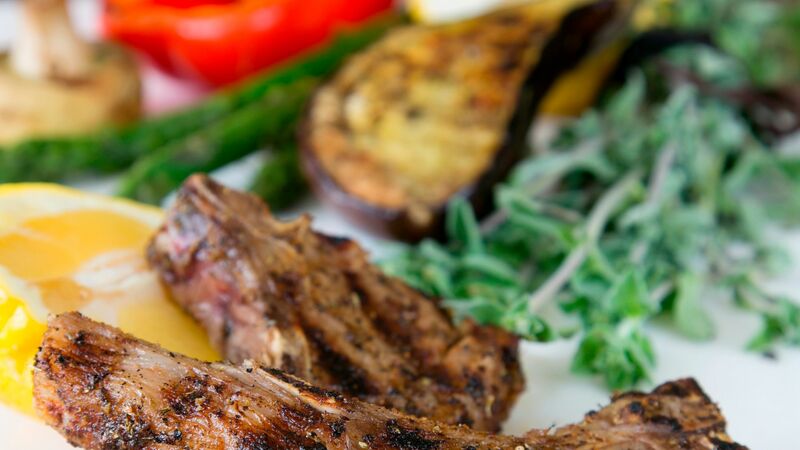 Come to Sapori for authentic Italian food which makes use of fresh, local ingredients. Dishes include risottos, lasagne and tuna steaks. Choose from an extensive drinks menu, including wines and cocktails. Half Board and All Inclusive guests can dine at Sapori. Men must wear a shirt with collar and trousers for dinner. Tides is a poolside gastro pub which offers a selection of locally sourced seafood dishes. 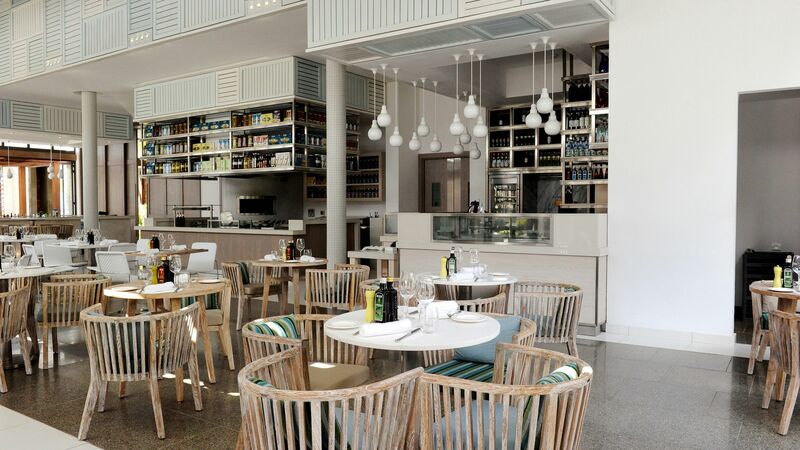 Have a relaxed lunch here or come for dinner, when Tides transforms into an intimate eatery. Feast on shellfish or grilled specialities and try a range of wines, spirits, beers and cocktails. Afternoon tea is also available at Tides in the afternoon. Half Board and All Inclusive guests can dine at Tides. Men must wear trousers and a collared shirt at dinner. 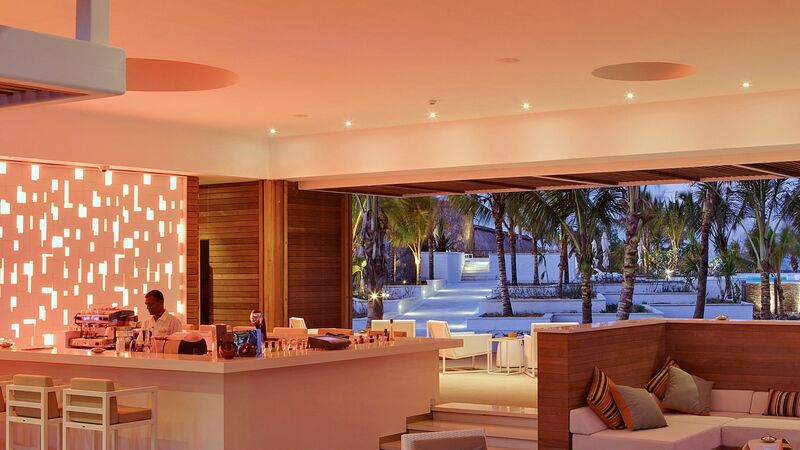 Shores is a trendy bar lounge with views of the cerulean lagoon. Sip on soft or alcoholic drinks during the day or head to the bar in the evening for live music. Specialities include fruit infused cocktails and local rums. You can also order bar snacks if you’re feeling peckish. In the evenings, men should dress in trousers and a shirt with a collar. Tides Pool Bar is ideal for a laid back lunch by the main pool, including salads, burgers and sandwiches. 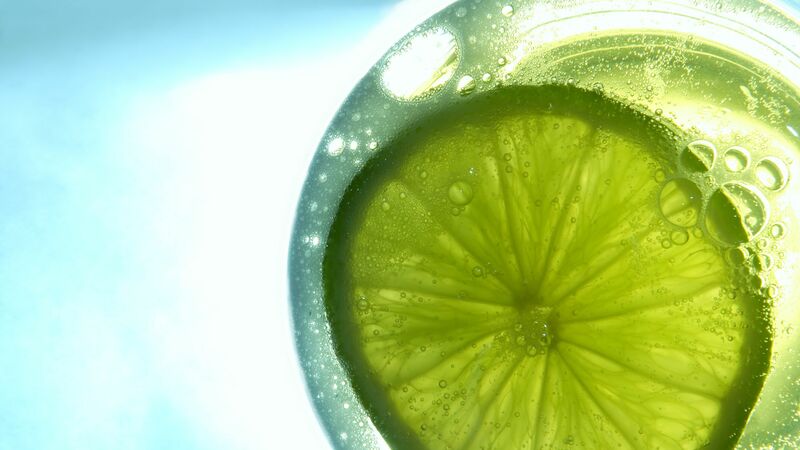 Soft and alcoholic drinks are available throughout the day and evening, whether you’re after a morning tea, fruit juice or evening cocktails. Cool off in one of Long Beach’s three stunning pools. The main, 1,400m2 pool, is heated and located right next to the beach. Adults can chill out in the smaller infinity pool or do some lane swimming at the fitness centre pool. Step onto the beach, which is the largest in Mauritius at 40 metres wide and over 1.3 km long. Laze on pristine, powdery sands fringed by palm trees or take advantage of the water sports on offer. Swim in the clear, turquoise waters which are rich with marine life thanks to the area’s thriving coral reef. 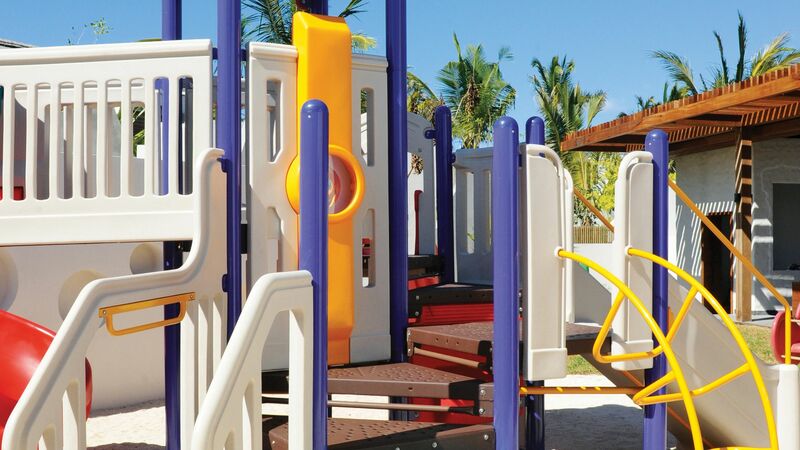 Children will have a great time at the Angels Kids’ Club, which has excellent facilities such as a nap room and playground. There are a variety of sports and activities every day to keep children entertained, such as tennis, nature excursions, pizza making, karaoke and Sega nights. Children aged two and three must be accompanied by a parent or babysitter. You can hire a trained nanny for an extra charge. The Waves Teen Club runs a programme of water sports, sea excursions and fun activities at Long Beach. 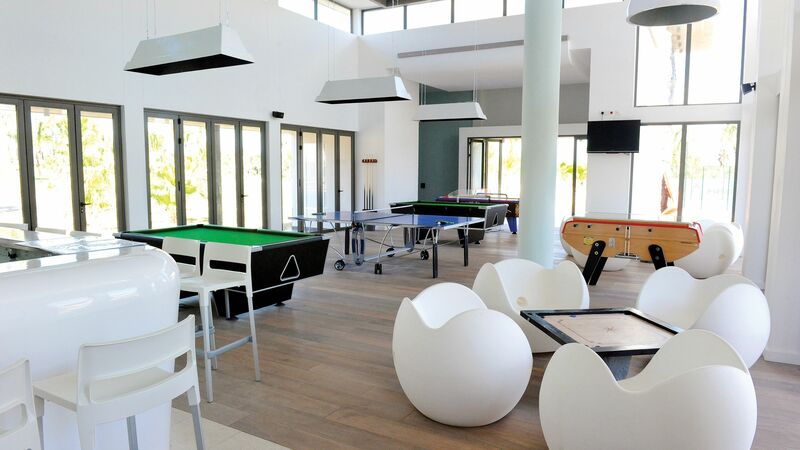 There are barbecues and camp fires, as well as a fully equipped games room to keep teens occupied with friends. 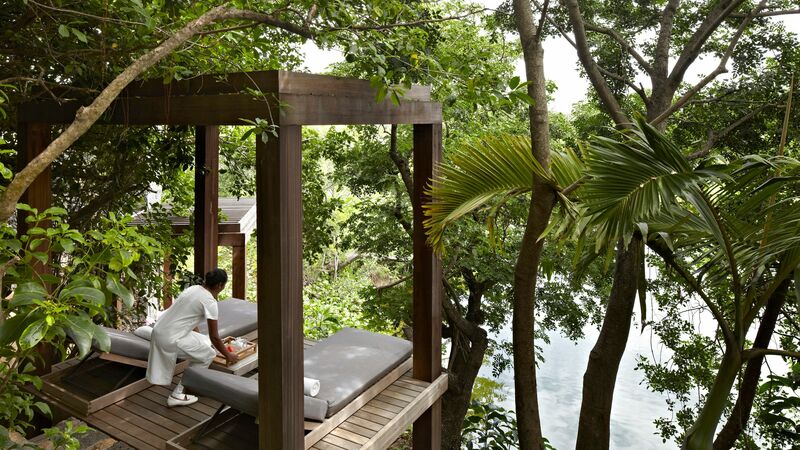 Head to the spa for some luxurious me time, set in tropical gardens by the sea. The zen inspired spa boasts a range of treatments and beauty rituals from around the world, from Thailand to Egypt and Brazil. Take an exotic bath, have a facial, full body massage or a beauty treatment. With treatments based on French thalossotherapy, the Sea Spa promises a luxurious excape for the senses. 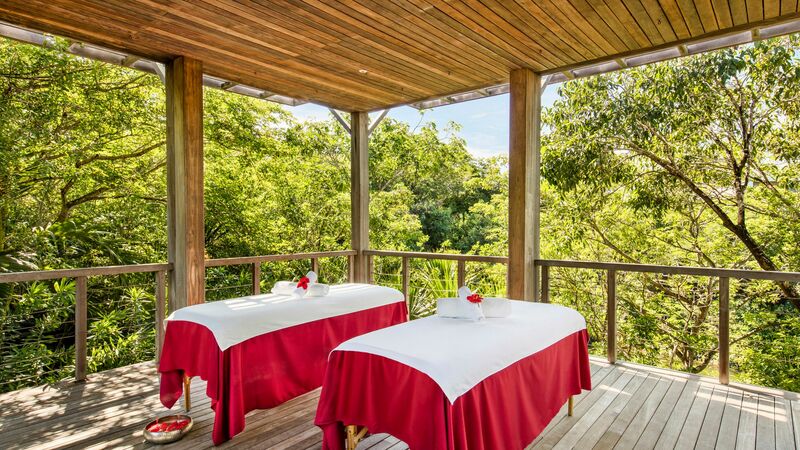 There are 12 single and double treatment rooms, as well as an outdoor spa pavilion in the lush, tropical gardens. There is a 51 sqm Turkish Bath Hamman, and a Beauty Parlour that offers manicures, pedicures and a hair salon. Stay fit with a work out at the Long Beach fitness centre. Sample world class strength and cardio training facilities or take part in a group class. Guests also have access to a climbing wall, tennis courts, archery and a pool for lane swimming. Personal trainers are on hand for an additional fee. Long Beach guests have access to sports such as cycling, badminton, football and pentanque. There’s also archery and group classes such as Zumba, yoga and aqua aerobics, plus an outdoor climbing wall. 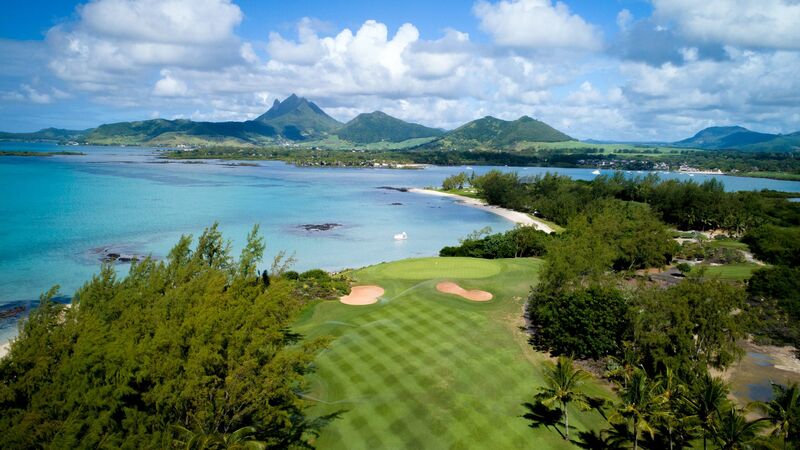 Golf fans can take advantage of the free access to Ile Aux Cerfs Golf Club, an 18 hole course which lies on a nearby island. There’s a free shuttle and boat service to take you there. 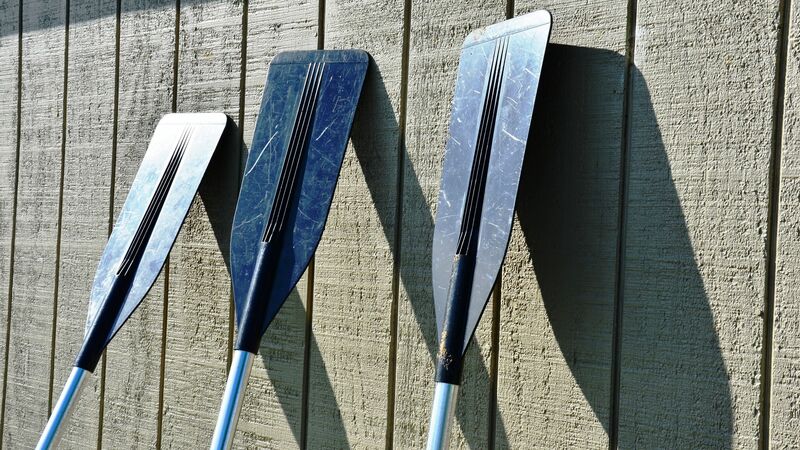 Head to the beach and lagoon to try your hand at everything from kayaking to wind surfing. Rent a paddle boat, do some water skiing or join the PADI dive centre to explore the area’s underwater treasures. Explore the area by land or sea. Excursions include a glass bottom boat trip and bike tours. Located on a white sandy beach along Mauritius’ east coast, Long Beach offers a tranquil island paradise perfect for relaxing. 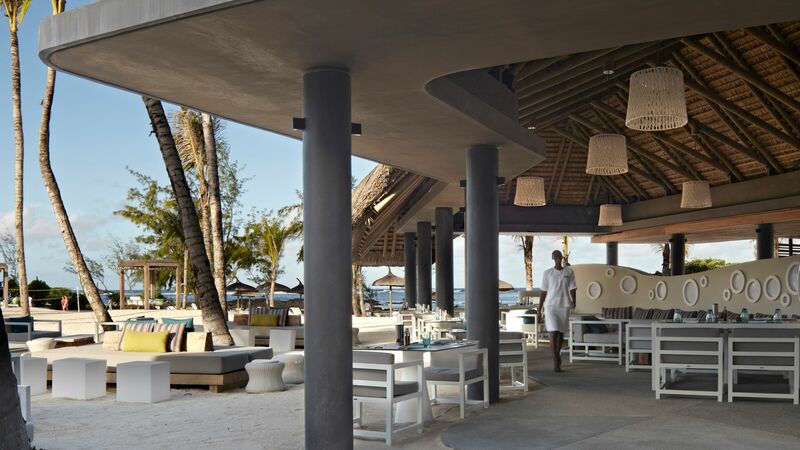 It’s close to the traditional village of Belle Mare, where you’ll find bars and restaurants serving up delicious local cuisine, with Asian and Creole influences. Explore the area with glass bottomed boat trips, perfect for families, or take to the waves with water skiing, sailing and lots more available. If you prefer to discover the underwater world there are fascinating species of fish, as well as colourful coral reefs and more to be discovered with scuba diving and snorkelling trips. Long Beach is an hour’s drive from Mauritius Airport. Junior Suites feature wonderful garden views with a spacious private furnished terrace. Junior Suites with Pool Access are located on the ground floor in a bungalow style, and are within easy reach of the main pool area and hotel Piazza. Inside, there is a comfortable king size bed and an en suite bathroom with separate bathtub and shower. Junior Suite Sea View Rooms are located on the upper floors and feature either a king size or double beds and a private furnished terrace with wonderful views of the lagoon. Junior Suites with Beach Access are located on the ground floor and feature a private furnished terrace with direct access to the wonderful gardens and beach with views of the sea and lagoon. The room features either a king size bed or double beds. Junior Suite Ocean Front rooms are located on the ground floor or first floor and feature a private furnished terrace or balcony overlooking the beach with wonderful sea views. The room features either a king size bed or double bed. Family Suites feature a king size bed on the ground or first floor and a separate kids area with sofa beds and an additional bathroom. These rooms are located on the ground and first floors with a terrace or balcony. Located on the ground floor just moments from the beach front, these suites boast a living area, private furnished terrace, king size bed and walk-in wardrobe. Guests receive tailor made butler service on request. Spent 2 nights with family and highly recommended for a peaceful and relaxing time. Also loved the foods and the chinese food at le chopstick restaurant was awesome. Mr Elvis and Mr Sawan made us really comfortable. This is our second time back to Long Beach, it just gets better and better. hotel is fantastic but the people make it heaven! Jenny, Oliver, Vimi, Sebastian and Ben made our family holiday out of this world, we will be back!! Thank you all for a great trip! “ Great people, fantntastic food and a beautiful view. Our 2 week stay at long beach was one of our best ever holidays. Plenty of things to do: water sports, well equipped gym, spa (best massage I?? ?ve ever had), good choice of restaurants. The staff and food in particular, were excellent. Sanchin and Vimal, along with many others looked after us at the pool bar. While Elvis was very attentive at Chopsticks restaurant. These are just a small selection of what are probably the friendliest staff I?? ?ve ever met at a resort. The food, no matter the restaurant or time of day, was delicious. The buffet restaurant was relaxed and had good variety, the theme changing by the day. The deserts were exceptional. We were there for Easter Sunday and the pastry chefs made chocolate bunnies that were waiting for us in our room after a day at the beach. Another nice touch was the pool being right next to the beach. I very much recommend Long Beach Resort in Belle Mare and hope to return soon. Myself, my partner and our one year old daughter visited Long Beach 31st March-15th April 2019. The hotel as a whole is very clean, well decorated, modern and extensively furnished. 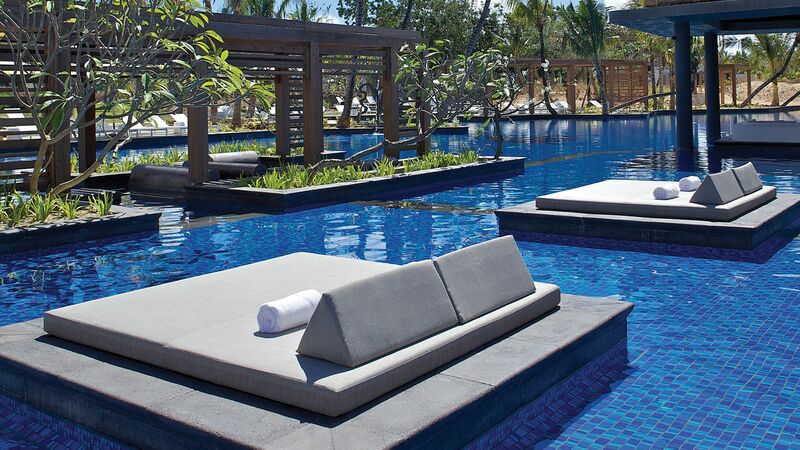 A very sleek and luxury feel to the resort. On arrival we received a very warm welcome (31 degrees in fact!). The staff were wonderfully attentive and professional from day 1. We had problems with our initial room (door key didn?? ?t work for first two days then we noticed a leak), we were immediately moved to another room which happened to be an upgrade to a beach front villa. The room was the same however had a much better view and terrace. This move was arranged by Joy (the guest experience manager) who then came to us daily to ensure everything else was to our satisfaction. He went above and beyond. The bar and restaurant staff were always very keen to help and nothing was too much for them. The chefs made our baby anything we asked for however she ate a lot from the buffet and menus anyway. The holiday was full of extras that made it so special such as the breakfast staff decorating our preferred table everyday with flowers and balloons and receiving a basket of fruit the evening before we departed. The housekeeping staff also went above and beyond- always cleaning our room twice a day to a very high standard and even washing our baby bottles when they were left to soak! I have never received such a generous service anywhere else before. Our daughter loved the kids club which was always immaculate and the kids club staff were always professional and very playful and engaging. We paid extra for a 1:1 babysitter (Geraldine) and despite usually being nervous to leave her with people I felt assured that she was in good hands! The beach, sea and weather make this place pure paradise and despite the odd day of rain (as is expected in a tropical climate) the weather was sunny, hot and beautiful making the experience all the more perfect. We snorkelled daily both at sun beach and out at the reef (which was free on all inclusive) and had so much fun seeing the amazing underwater life! We will 100% be returning to Long Beach, I only wish we had stayed longer! Special thanks to Vimi, Pamela, Jenny, Reena, Joy, Divesh, Suren, Oliver and Geraldine. Came back to the this resort 10 years after being married at Le Coco Beach (before it was demolished and replaced by Long Beach). Hotel is wonderful with a very relaxed atmosphere and very attentive staff. 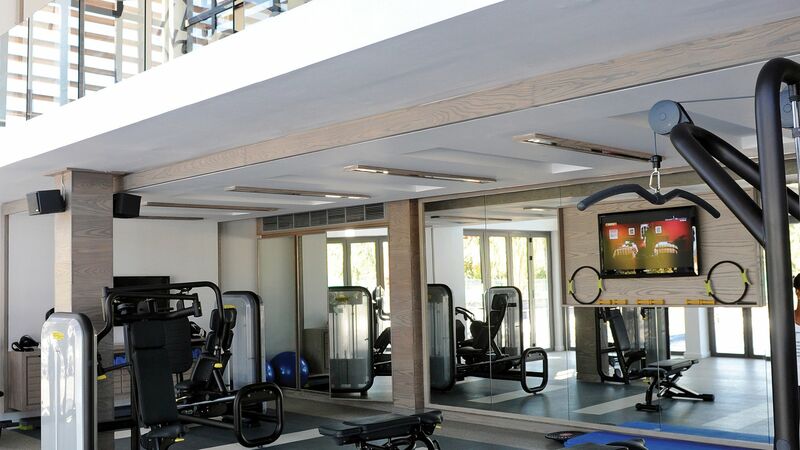 Facilities are excellent and we made use of the extensive sports complex including the well equipped gym and lap pool. We loved the long white sandy beach with plenty of space to relax and no shortage of sunbeds with their own thatched shade. Our favourite restaurant to eat was Sapori Italian restaurant although all the restaurants we tried (except Hasu, Japanese which we did no try) were very good. Had our wedding anniversary dinner at Tides complete with specially decorated table and lovely celebration chocolate cake! Special mention to Isabelle who organised our anniversary stay and exceptional waiter service at Sapori from Ardesh, Singh and Yudish, the best beach waiter you could ever ask for Safwaan, recommend you ask for him to bring out your orders! and finally Satish at the Tides bar always friendly and keen to discuss the Premier League with you.